First, the grade 3’s and 4’s read and discussed books in class as part of literature circles. Next they chose a book they wanted to make a trailer for. In the library we watched many examples of book trailers and talked about what made a good book trailer. Students wrote scripts in partners or small groups. Then they found copyright free images online that matched their script. 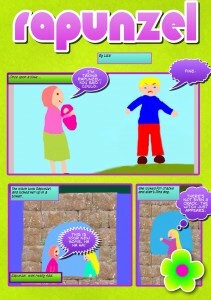 Finally, they put it all together using iMovie on the school iPads. Click here to watch some of their book trailers. 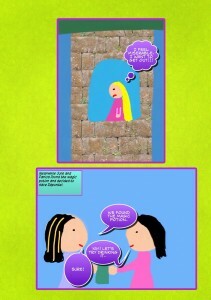 Students were asked to choose a fairy tale, give it a twist and create their own comic. 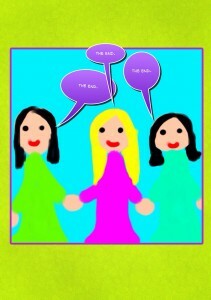 First they created a storyboard on paper and then they used Drawing Box on the iPad to do their drawings. Next they imported their drawings into Comic Life and added features like splash pages, dialogue, text boxes, sound effects and more. They also spent time looking at various graphic novels and comics and examining the different features this genre uses. 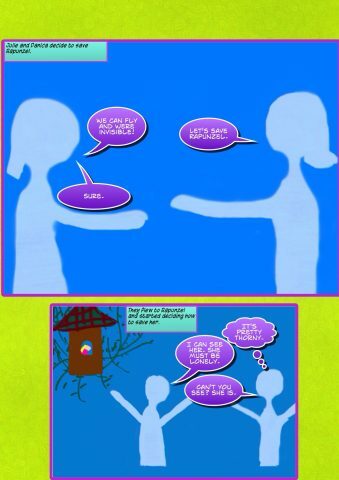 Here are a few of their comics. Enjoy! 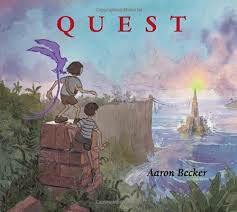 This year for Literacy week our school read Quest by Aaron Becker. Division 5 responded to Quest by creating sequence circles that represented the most important parts of the story using pictures and words. After they complete their sequence, they used the ipads to take pictures of their work and add narration in Book Creator. They also did some “app smashing” and added a Pic Collage to their book cover. When they finished recording their sequences, students added their reflections on the process of making their book, using the ipads and Quest, itself. My Quest Sequence by David from South Slope Library on Vimeo.